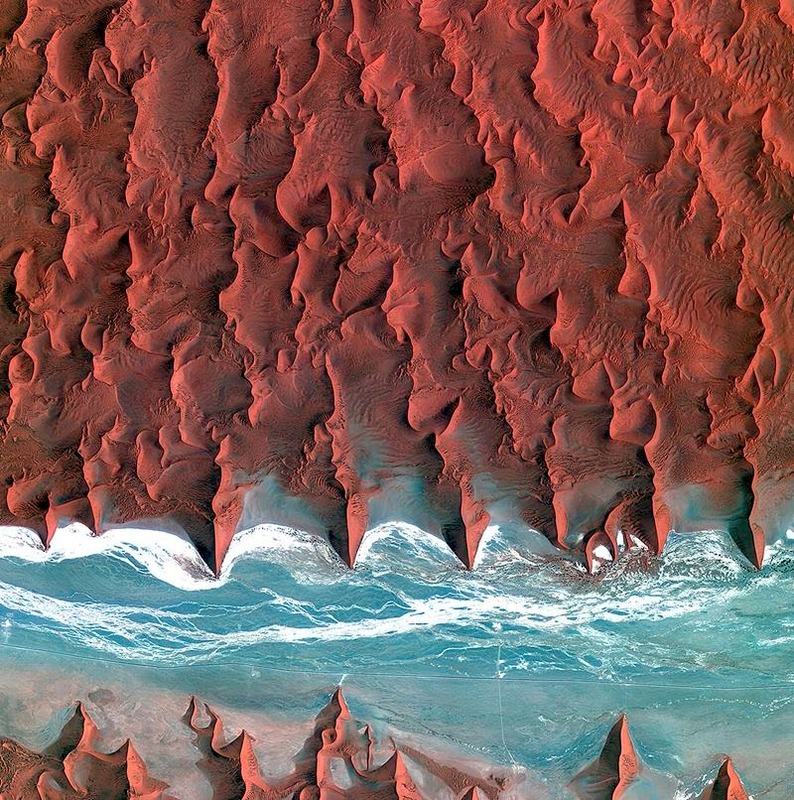 The Namib is a coastal desert in southern Africa. 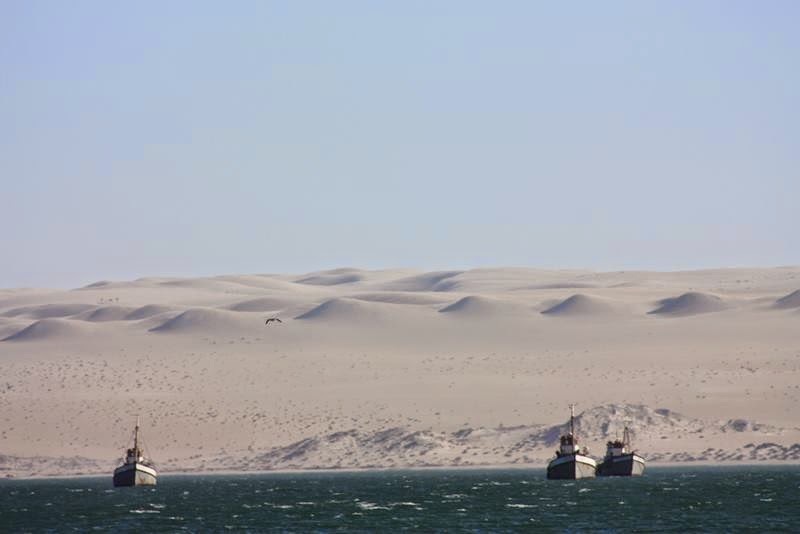 The name Namib is of Nama origin and means "vast place". 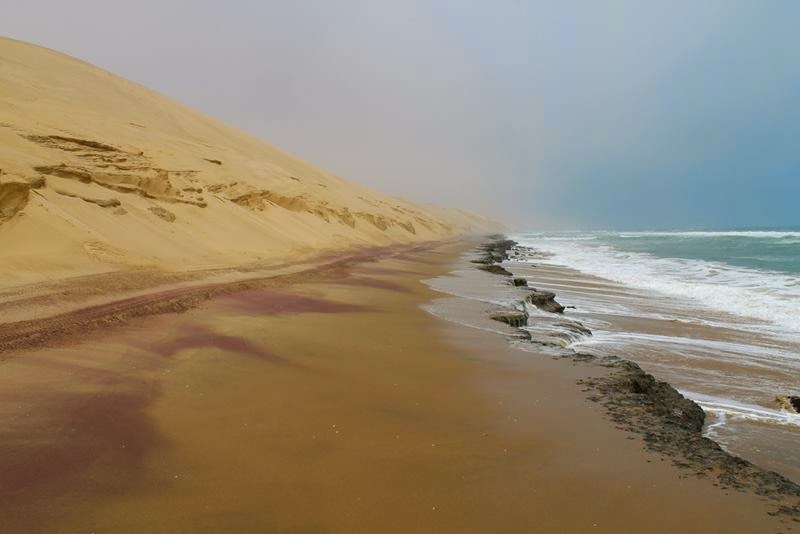 According to the broadest definition, the Namib stretches for more than 2,000 kilometres or 1,200 mi along the Atlantic coasts of Angola. 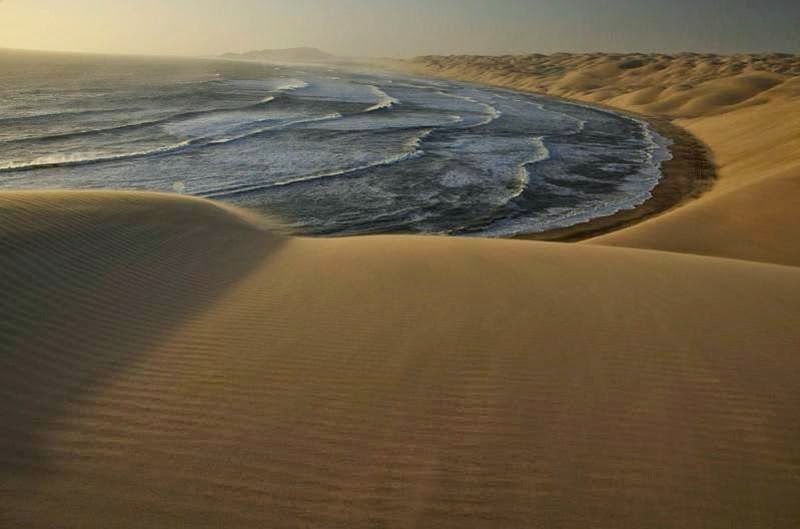 Namib is well known for the world's oldest desert and has been in existence for some 43 million years, remaining unchanged in its present form for the last 2 million years. 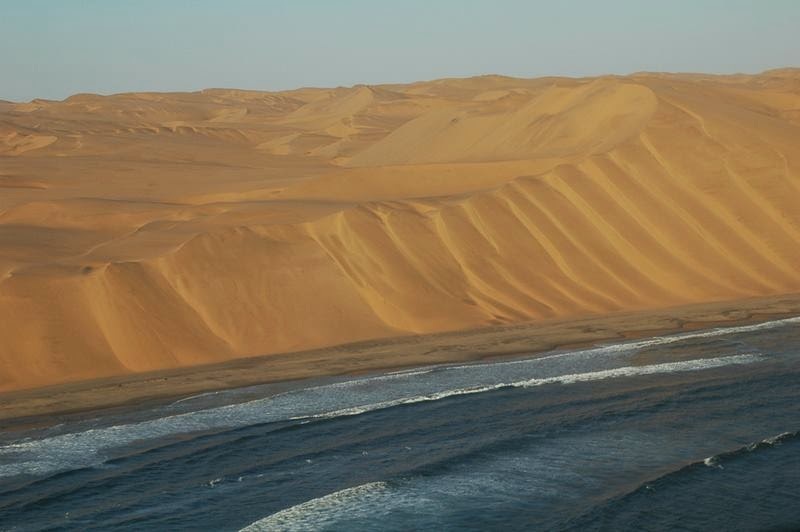 The most widespread and dominant type of desert sand dune are linear dunes, with crescent shaped dunes common along the coast and clusters of star dunes, such as the towering horseshoe of dunes at Sossusvlei, found in the eastern reaches of the sand sea. 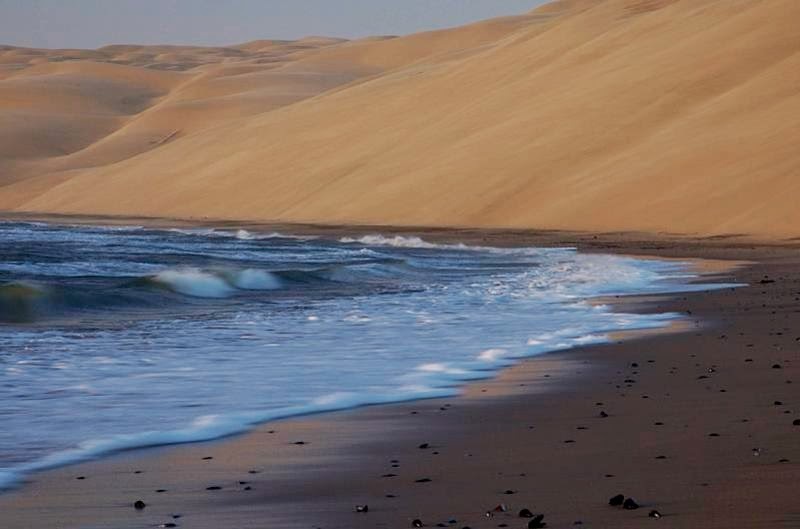 Sossusvlei in the Namib Desert is the one attraction that should not be missed while you are in Namibia; the dunes are amazing and even though this is a popular tourist destination it is still easy to gain a sense of solitude while climbing one of the dunes or walking to Dead or Hidden Vlei. 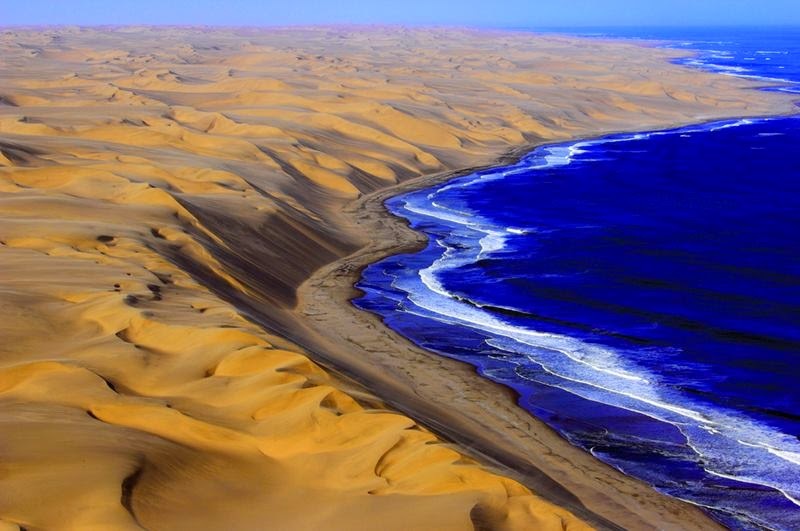 The Namib Desert section of the Namib-Naukluft Park also includes the Swakop and Kuiseb River Canyons. 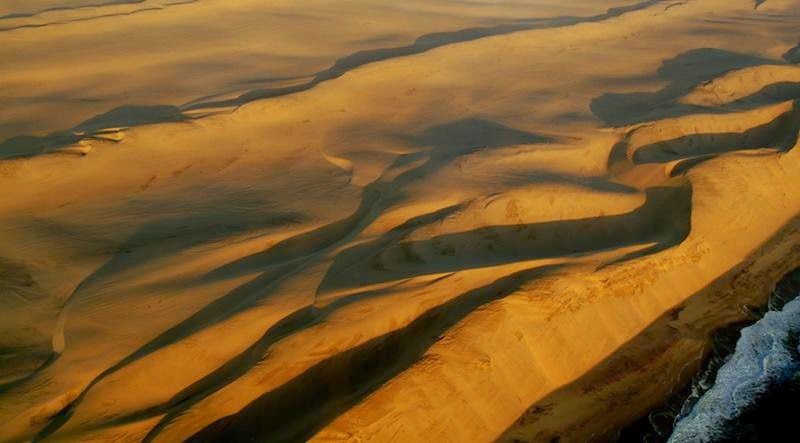 The most spectacular is its unique feature that offers exceptional images. 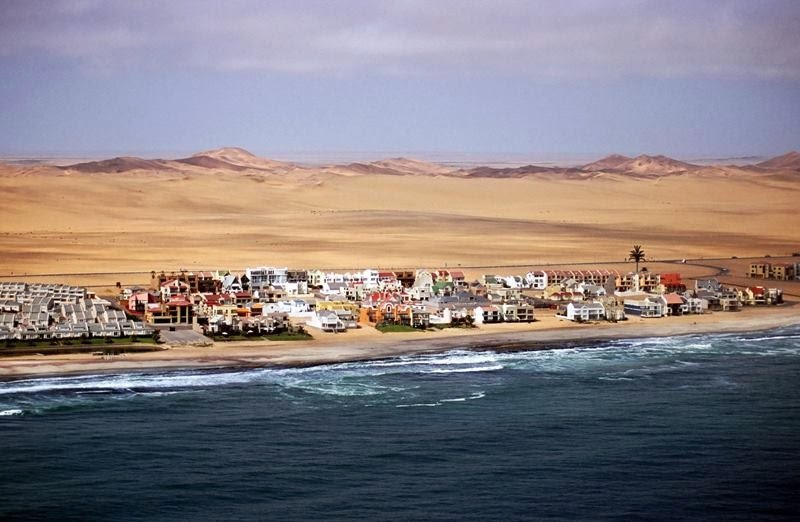 Indeed, this desert without end extending to the Atlantic Ocean to offer us a unique contrast. 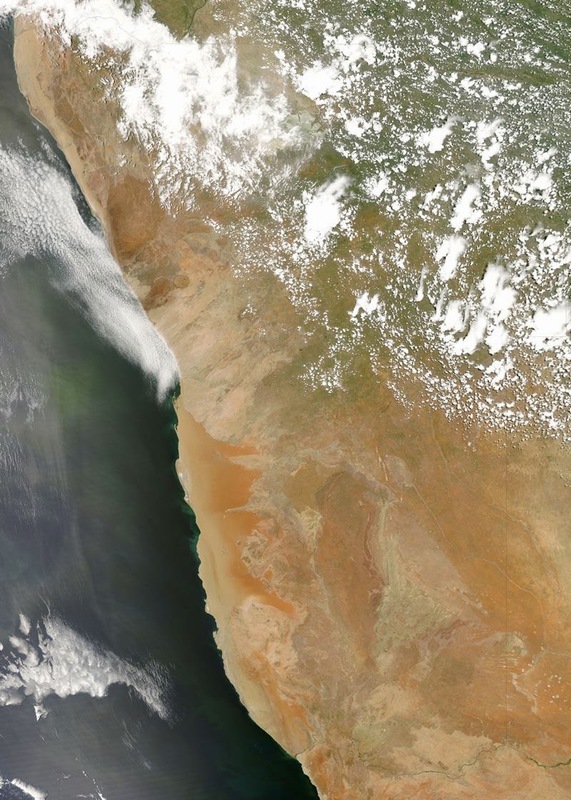 Again, we can thank Mother Nature for the gift of several hundred kilometers along the coast Namibian. 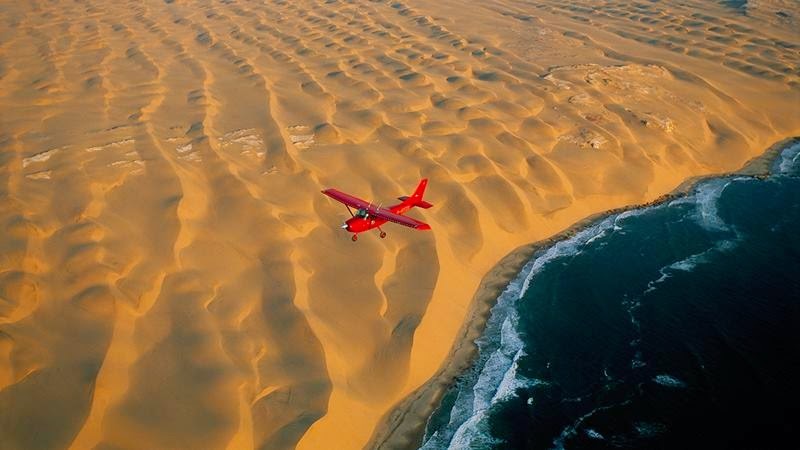 If you want to enjoy it with your own eyes adventurers, go to Swakop, a town at the beginning of the desert, where several companies offer helicopter flights to admire this beautiful encounter between desert and ocean.